An attractive smile can help you approach life with confidence and see yourself in a different light. 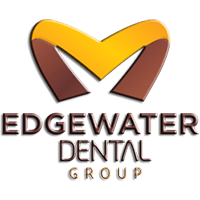 Edgewater Dental Group's highly trained dentists and licensed denturists create competitively priced dental implants for adult patients of all ages. Serving patients from the Chicago, Edgewater, Rogers Park, and Andersonville, Illinois, areas, the exceptional team can replace severely damaged or missing teeth so you can enjoy your best smile. To learn more, call for a consultation or book your appointment online. Many adults find that having dental implants is almost like having natural teeth. When you lose your own teeth due to an illness, a traumatic accident, or tooth decay, it can negatively impact your self-esteem. You might also avoid smiling, or eating foods you used to love. This is where dental implants can help. Dental implants feel and function like natural teeth. They're durable and stable, and function almost the same as natural teeth. A dental implant is a metal post or frame that a dentist surgically attaches to your jawbone, beneath your gums. The metal post becomes a permanent base for a replacement tooth. Essentially, it’s the root of your new tooth. Once the post has been installed and your mouth has fully healed, a process that generally takes a few weeks, your dentist mounts a custom-made crown (replacement tooth) onto the metal post. Since the dental implant fuses directly to your jawbone, it’s strong and stable. It won't shift around uncomfortably in your mouth like some dentures. These screw-like metal posts can also help crowns, bridges, and dentures stay securely fastened to your jaw. On top of looking, feeling, and functioning like your natural teeth, dental implants provide the following benefits. If you’re missing a single tooth or a couple of teeth, you may be an excellent dental implant candidate. Your jaw must be finished growing, and your gums must be healthy. Dental implants are not appropriate for kids, as their mouths have not finished growing. However, implants are an exceptional solution for adults. You may also be a prime candidate for implants if you're tired of having dentures that won't stay in place, or if you're ready to replace a bridge or partial dentures. Women or men looking for a more permanent, long-term solution to dental work may be good candidates for implants. Meet with your dentist to learn more about your options for missing teeth and to see if implant treatment is the best solution for you. Request an appointment online or call Edgewater Dental Group for competitively priced dental implants today.